recharge is unique because it includes a merchant account and payment gateway. You don't have to worry about finding a separate merchant account, payment gateway and billing application that work together. We set everything up for you. 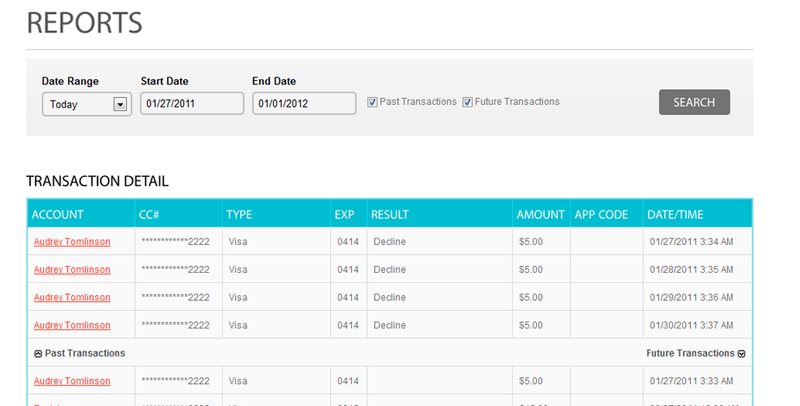 recharge handles everything, including storing cards, charging your customers, and direct payouts to your bank account. Use our website, API or Hosted Payment Pages to set up and maintain your recurring billing schedule for all your customers. We have a solution that works perfectly for any business no matter how tech-savvy you might be. Also, we're always here to help! 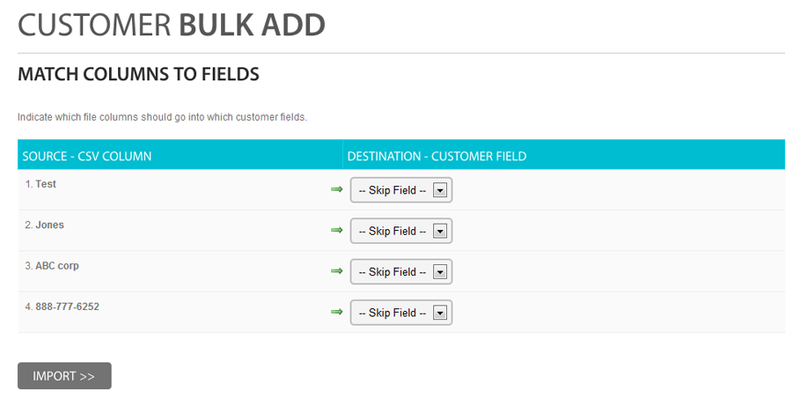 You can have as many recurring charges as you want for each customer. recharge takes your recurring payment schedule for all your customers and automatically charges your customer's card when it's time to charge them. When a charge goes through, we'll email you and your customer email receipts, and if the card is declined, we'll keep trying once a day until the charge is approved. All credit card numbers are stored securely on our secure gateway. recharge saves you time that you can now devote to growing your business instead of manually managing and processing your charges. Use the reports to gain valuable insight on how your business is running so you can make informed decisions. Now that your revenue is rolling in automatically, you're free to focus on other parts of your business. Or even a vacation...we won't tell. How does recharge bill my customers? recharge acts as an intermediary between your business and the payment gateway. It allows you to create recurring payment plans, and then initiates a transaction for the correct amount with your payment gateway when it's time to charge your customer. 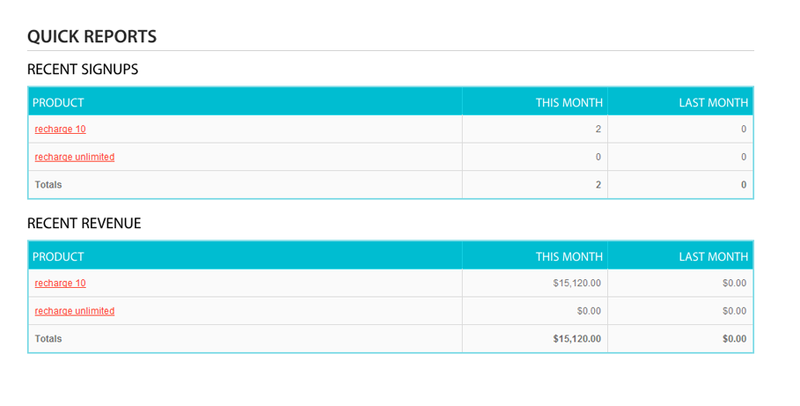 How does recharge compare to other recurring billing services? 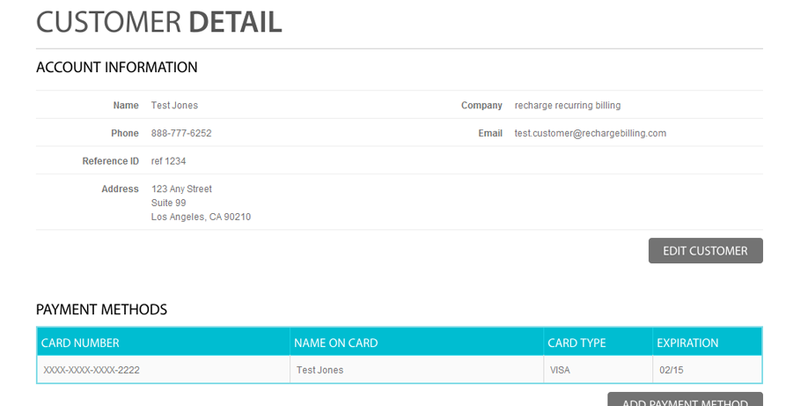 recharge was built from the ground up to be the simplest, most cost effective way for you to charge your customers. We bring the many pieces associated with processing payments in-house and pass the savings on to you. Check out how we stack up against the competition by clicking here. Yes. recharge works with our payment gateway to store your customers' cardholder data in a secure, PCI compliant environment. We work with the payment gateway so you don't ever have to worry about managing this sensitive billing information. How long does it take before I can use the service after signing up? You can use recharge in test mode immediately to get the hang of it. Once you apply for your merchant account, you will usually be able to start accepting credit cards within 3-5 business days. What kind of merchant account comes with recharge? Do I have any choices? We've taken a lot of the hassle and cost out of the credit card processing equation by combining our service with a merchant account and secure payment gateway optimized for recurring payments. We manage the whole process for you -- that means quick, easy setup. This also eliminates a number of fees you might be used to, because everything is under one roof. The application process is simple -- you fill out one application with us, and our partner payment processors actively bid against each other to win your business. You may choose the payment processor that has the lowest bid, or whichever one you like best. How many customers can I bill with recharge ? With our unlimited plan, recharge allows you to easily bill an unlimited number of customers. For smaller businesses, however, we offer a lower priced plan that will let you bill up to 10 customers. 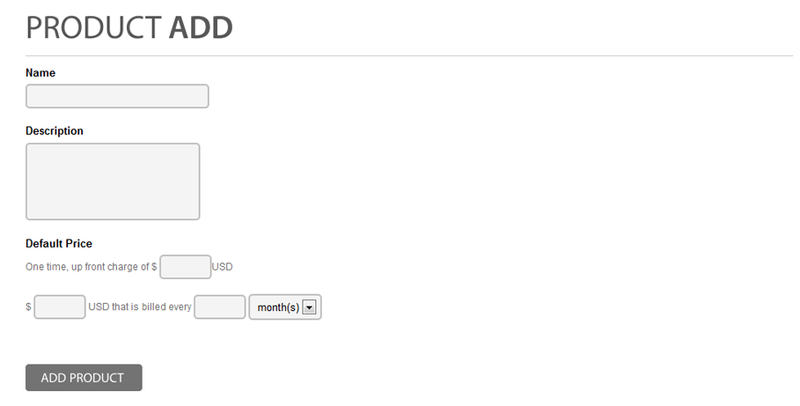 To see our full list of plans visit our Pricing page. What if a card is expired or declined? recharge sports some powerful failed payment features. When a card is declined, you'll get a email alert and your customer will be sent a customizable email with information on how they can securely update their payment information. Your customers will also get an email several months before their card is set to expire so that they can update their payment information. recharge will keep trying to charge the card every day until the charge is approved or you cancel the charge. Do you have hosted payment pages or an API to interface with your website? We have a full RESTful API. You may find all the documentation here. We also have Hosted Payment Pages that let you accept one-time or recurring charges on your website without having to deal with all the security considerations on your site. Our tech support staff is ready to answer any questions about either solution and to help you integrate them into your website. If you have any questions about any of the features, or if you want to know more about how recharge works, please email us! Our email is help@rechargebilling.com. recharge was made from the ground up with you in mind, and your input continually drives what we deliver. One of our representatives would be happy to speak with you!